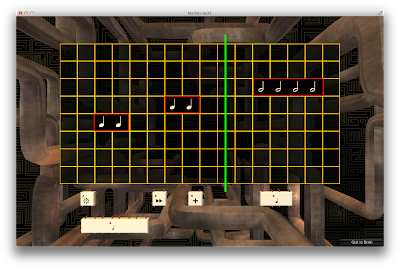 Nurbits is a music puzzle game that teaches you about neuroscience. Hello Everyone. Todays post will take you through the different layers of our gameplay for our 3rd prototype. This prototype was built as a precursor to starting work on our final product, so some of what is seen here should influence how our game looks in the end. This prototype has helped us understand much of the basic functionality that needs to be implemented, and gave us a chance to try different things until we could figure out what worked or played the best. This prototype begins to bring in more of the story elements surrounding the puzzles that Stephen showed in our last post. From that last prototype we were able to build up a more complete experience and a system where short musical compositions could be created. The prototype and story begins within a studio environment, with a band of robots. Each robot has its own instrument, and for them to be able to play, the user must venture into their brains to complete puzzles that build up the audio composition. This studio area has little gameplay, other than controlling a few bits of the entire song, but it will bring a lot of personality and customization to our game. From the studio, a user must enter the brain of a robot. 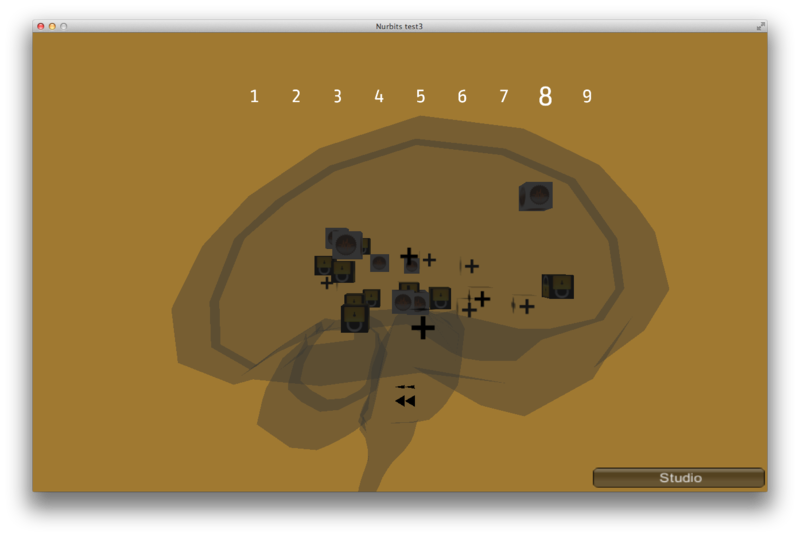 The brain scene is where the bulk of composing the song happens. 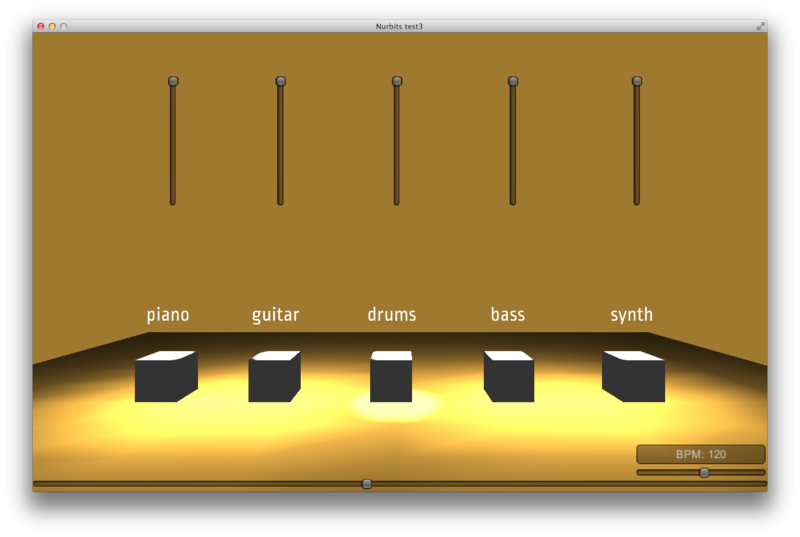 Here users can sequence together the loops that they create, along with connecting effects to any loops they wish. These connections are like hooking the robots senses to its motor control systems in order to play the notes that have been pieced together. The brain contains audio nodes and effect nodes that represent different regions of the brain and how they function together. 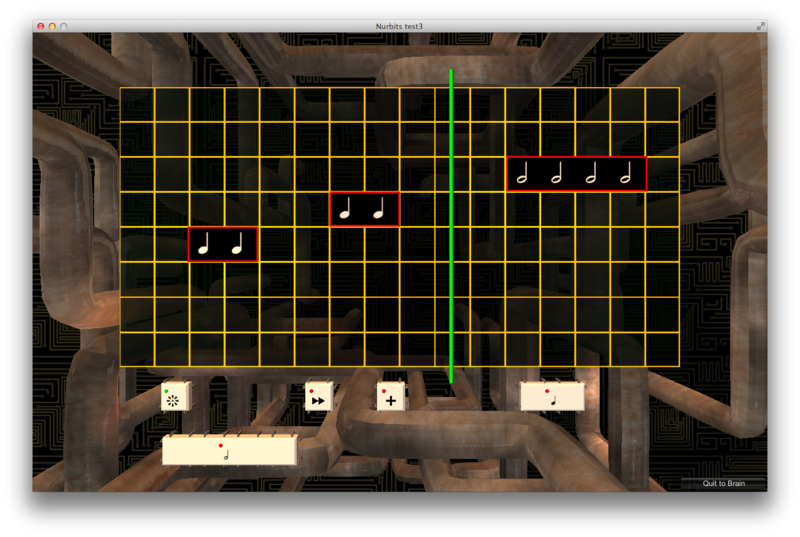 The audio nodes house the puzzle aspect of our game. Completing these puzzles opens up loops that can then be used in the brains of any robot. We plan to have many pre-made loops/puzzles with varying difficulties while using different components of neuroscience. These pre-made loops will lead the user to creating a good sounding composition and then to being able to create their own loops to be played and unlocked for further creativity in song making. To take you through each of these bits of our game I have created a video walkthrough. As always we have a demo here, if you want to give a go at playing a song with your own robot band. They may only look like cubes now, but just wait until the art gets put in, in later iterations. So, look forward to that. Copyright © 2016 Cogent Education. Travel theme. Powered by Blogger.